It’s been almost exactly a month since the first Gray Chardmonster stumbled his way out of his mystical stupor and onto discriminating collectors’ shelves. 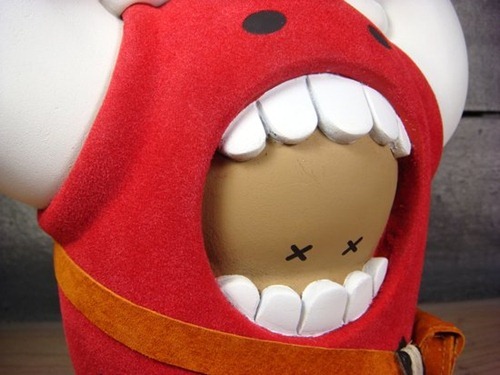 Now comes the next cheerful spirit, the Red Chardmonster. While Gray was fond of imbibing, Red apparently takes it to a new level – witness his blotto expression and his one empty flask. 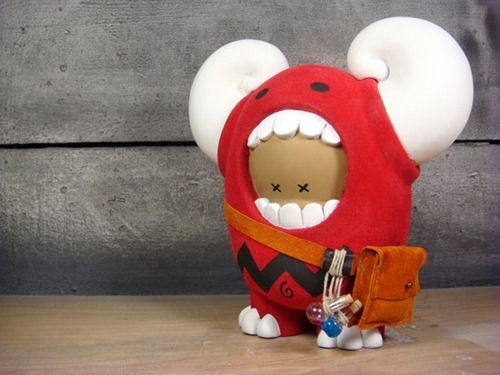 Once again limited to 10 ten pieces @ $750, the Red Chardmonster comes in laser-engraved box and is available by sending an email to sales[at]huckgee[dot]com. Why is it called ChardMonster? Is it because of Charlie Brown?